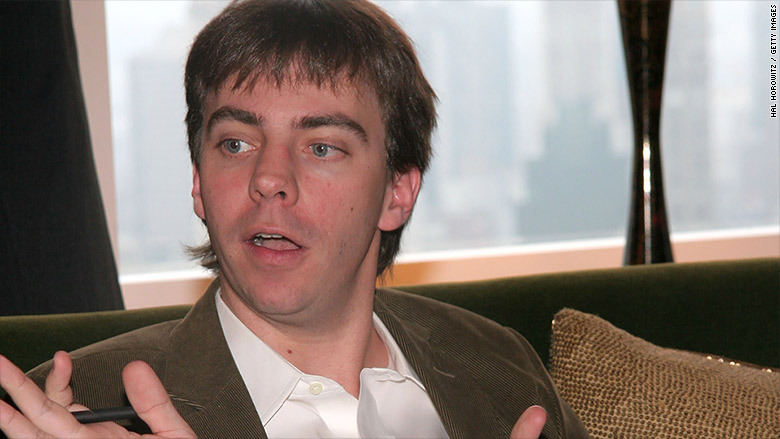 A top executive at Vox Media was fired late Thursday following a public allegation of sexual misconduct. The message said that the company is continuing to investigate allegations made in a post published on Medium last week by a former Vox employee. In a statement that largely mirrored the Slack message, Vox Media said that it is "committed to fostering a safe and welcoming community, and appreciates those who have been willing to speak up and share information during the course of this investigation." Steele did not respond to a request for comment. His firing was first reported on Thursday by The Awl. A digital powerhouse, Vox acquired Steele's network of blogs for a reported $20-30 million in 2013. Along with Steele's properties -- the real estate focused blog Curbed.com, the dining site Eater.com and the fashion outlet Racked -- Vox Media also owns several other brands, including the sports site SBNation and its policy-focused flagship Vox.com. Steele, who previously served as an editor at Gawker Media, served as Vox's editorial director since 2014. Vox leadership is expected to address his firing at an all-hands meeting that had been previously scheduled for Friday afternoon. The Medium post lit up the media world, quickly going viral and providing yet another talking point for a widening conversation over inappropriate behavior by men in the workplace. In it, Eden Rohatensky accused multiple co-workers of sexual misconduct, and detailed one particular incident involving "one of the company's VPs" while riding in the backseat of a cab with other coworkers. Rohatensky did not mention Vox or any co-workers by name in the post. "We drove towards our destination and suddenly I felt the VP caress my hand. And then my arm. And then suddenly, in the dark corner of the car, he was kissing my neck," Rohatensky wrote. "I grabbed his hand and held it down, worried he would try to go further with it. My coworker and my boss were unaware." After getting fired a month later "due to lack of productivity," Rohatensky reported what happened with the unnamed VP, but later learned that "his punishment was being told he could not drink at corporate events any longer." "After posting this, I received a phone call from the company I was working with at the time," Rohatensky wrote in an update to the Medium post. "My report didn't make it into the right hands, and it has now." The Hollywood Reporter published a piece on Friday morning that said the law firm Gibson Dunn is helping Vox investigate the claims. Rohatensky has met with investigators who are looking into the allegations as part of Vox's probe. "I think the limit of what I can say or feel comfortable saying is that I'm participating in the investigation," Rohatensky told CNN on Friday in a direct message on Twitter. Troubling allegations have roiled the media and entertainment business all month, which began with the allegations that longtime Hollywood producer Harvey Weinstein had sexually harassed or sexually assaulted women for decades. The Weinstein scandal reportedly inspired scores of women in media to contribute to a secret spreadsheet detailing varying degrees of both illegal and inappropriate behavior by their male colleagues. In breaking the news of Steele's firing, The Awl's Silvia Killingsworth noted "the lack of Vox representation on" the spreadsheet. "The aforementioned viral Medium post by Eden Rohatensky alleges misconduct by more than one Vox employee," Killingsworth wrote, "one wonders how many more firings are yet to come."